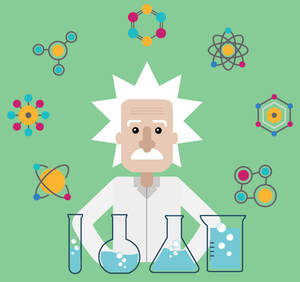 In the 20th century, the two most significant physical theories were quantum mechanics and the theory of relativity. Quantum mechanics are necessary to describe atoms and molecules, while the theory of relativity is often associated with large distances and high speeds. The theory of relativity is also necessary for a correct description of the chemistry of the heaviest elements of the periodic table; without relativistic effects, gold would have the same colour as silver, mercury would not be liquid at room temperature, and your car would not start, for example. The Molecules in Extreme Environments lunch seminar this spring is held by Trond Saue, professor of theoretical chemistry at the Université Toulouse III – Paul Sabatier.